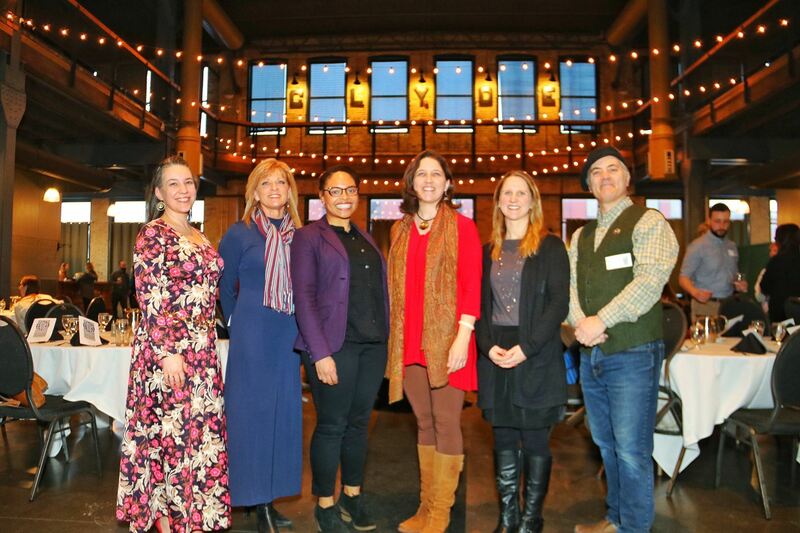 MCSS President Jessica Ellison, Michele Melius, Angela Bianco, Minnesota Commissioner of Education Mary Cathryn Ricker, Jessica Felosi, and David Geister at the 2019 Social Studies Social. 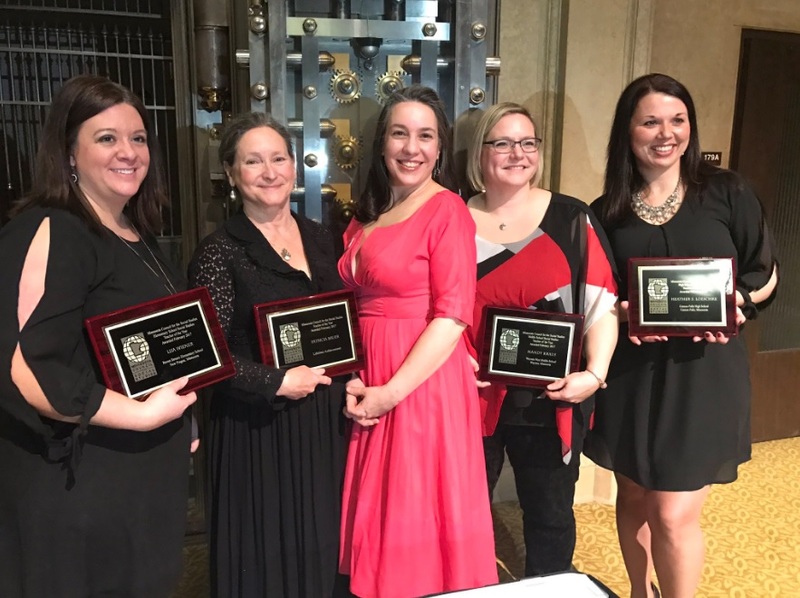 Each year, MCSS honors four Teachers of the Year at the annual awards dinner. These three teachers, representing Elementary, Middle School, High School, and Lifetime Achievement, are nominated by colleagues, supervisors, parents and students. They exemplify the best of social studies teaching in Minnesota. For the 2017-2018 school year, the MCSS board elected to create a new award, the Friend of Social Studies Award, to honor exemplary educators outside of the K-12 classroom. Nominees will be invited to apply by submitting a resume, lesson plan or classroom activity, two letters of recommendation, and a personal statement. Nominees will be contacted by an MCSS representative who will provide more detail about the submission materials and process. Contact Valerie Walker with questions. Lisa Wiener, Pat Bauer, MCSS President Jessica Ellison, Mandy Kraus, and Heather Loeschke at the 2017 Social Studies Social. MCSS is pleased to announce the winners of the 2017 Teacher of the Year awards! 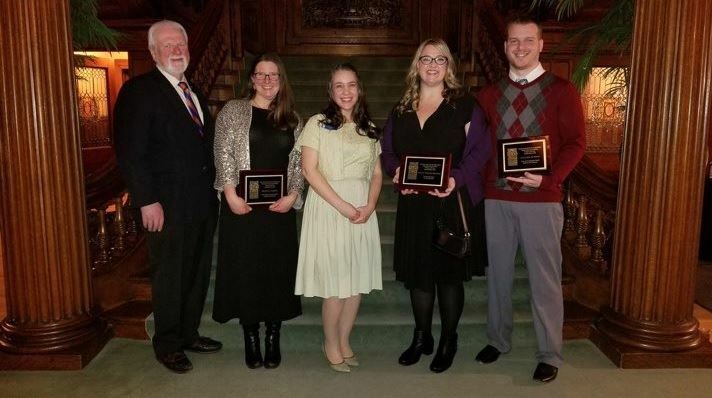 Award-winners Jerry Benson, Matt Moore, Phyllis Haensel, and Bill Beckman, and board members Jessica Ellison and Valerie Walker at the 2016 Teacher of the Year Awards Dinner. MCSS is pleased to announce the winners of the 2016 Teacher of the Year awards! 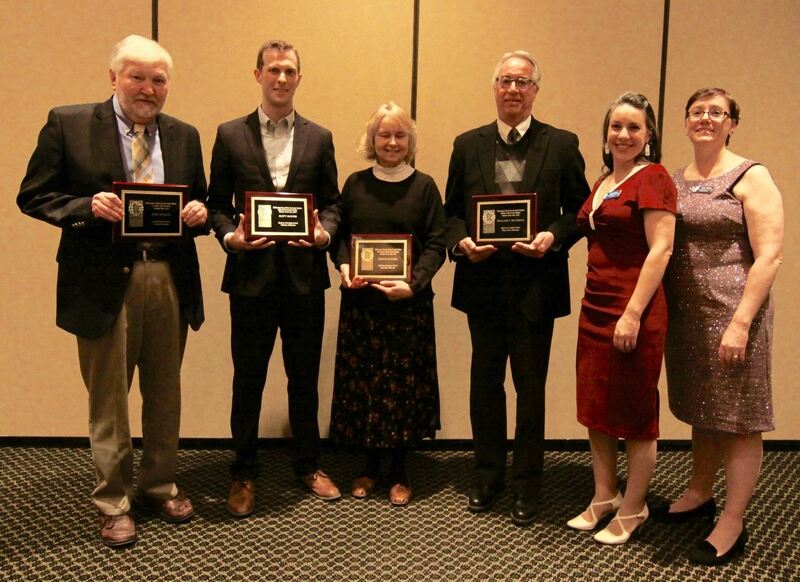 Ron Hustvedt, Jr., MCSS President Brian Traxler, Laura Tessmer, Dennis Schreiber, and Tim McLean at the 2015 Awards Gala. MCSS is pleased to announce the winners of the 2015 Teacher of the Year awards! In 2015, MCSS has created a new award to honor our teachers who have dedicated many years of their lives to teaching young people: the Lifetime Achievement Award. 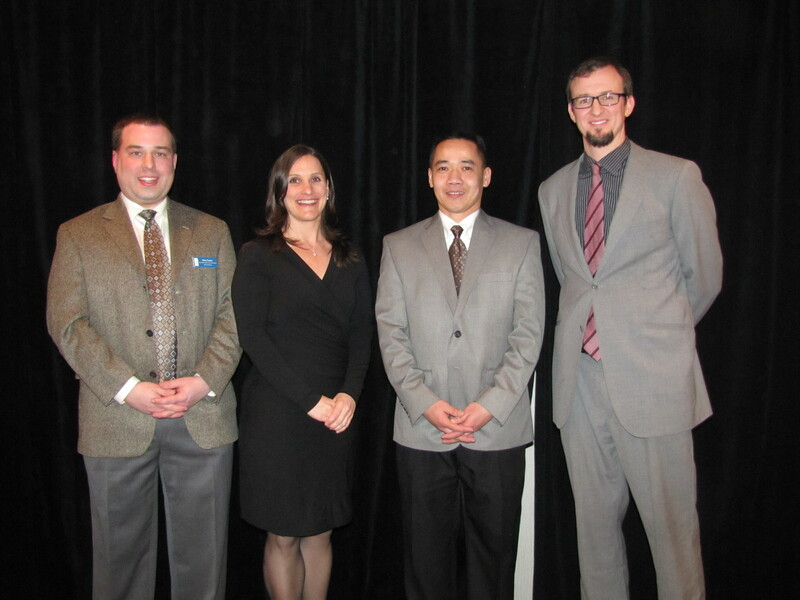 MCSS President Brian Traxler, Molly Hickok, Huy Nguyen, and Tom Lachermeier at the awards gala on March 2, 2014. 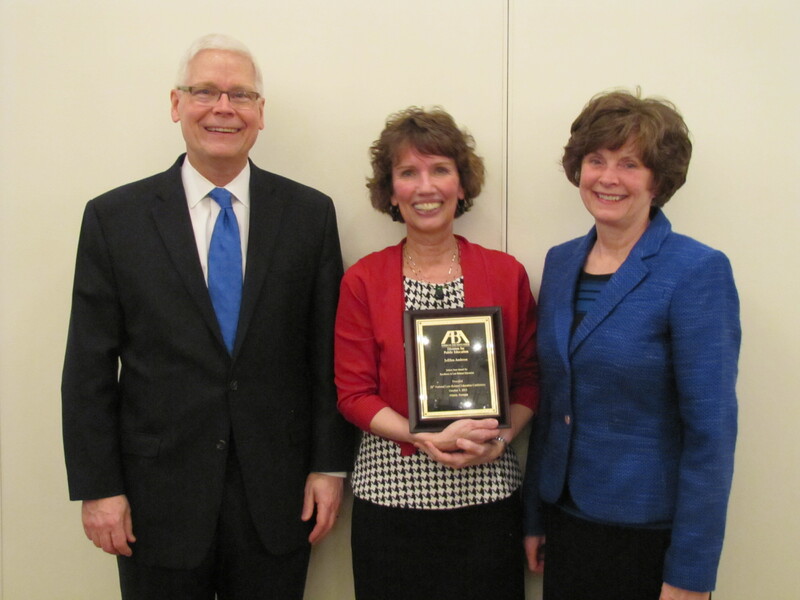 At the 2014 awards gala, MCSS also honored JoEllen Ambrose, who recently received the prestigious Isidore Starr Award from the American Bar Association, which honors excellence in law-related education. Ms. Ambrose teaches at Champlin Park High School. Minnesota Supreme Court Associate Justice David Lillehaug, JoEllen Ambrose, and Learning Law and Democracy Executive Director Jennifer Bloom. Elementary: Maria Singh, Pillsbury Middle School, Minneapolis.